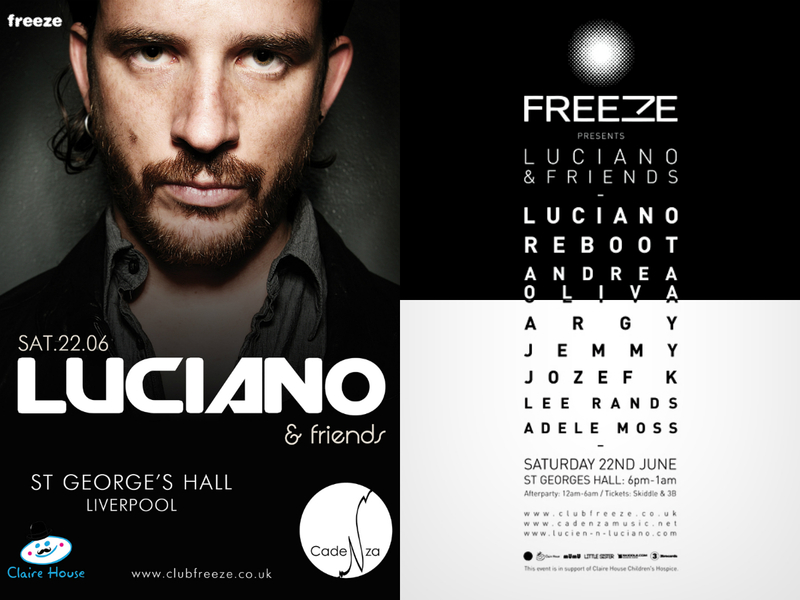 Freeze brings Luciano & Friends to Liverpool for a rare one off gig at St George’s Hall on Saturday 22nd June. From the world renowned Cadenza crew, Luciano is joined by Reboot, Andrea Oliva and Argy, and with more acts yet to be announced, this event is set to go down in Liverpool’s clubbing history as a night of monumental proportions. St George’s Hall is one of Liverpool’s most iconic buildings, a majestic and draw-droppingly beautiful setting for the king of Cadenza to take his rein and deliver one of his most exciting house and techno sets. The ultimate crowd reader, Luciano can get any mob moving with carefully selected tracks and exclusive remixes that electrify ears and keep audiences wanting more. Witness this inside one of the world’s finest neo-classical buildings and experience electronic music in an extraordinary way at this heritage site. Freeze identifies original and creative venues, having been the first promoters to put on an electronic music event in a practicing cathedral, and 2013 will see them take over even more unusual spots! From their beginnings in the Lemon Lounge 7 years ago, they’ve attempted and succeeded in throwing some hugely individual events and outstanding parties with the likes of Innervisions, Zoo Project and Bedrock. While this unique show endeavours to bring some of the best artists and quality music to Liverpool this June, the real reason behind this event is to raise awareness of the Claire House Children’s Hospice. In association with the charity, the Luciano and Friends show hopes to raise money and spread the word about the amazing work taking place at the hospice, providing respite, care and counselling for terminally ill children and their families... a fantastic team of expert nurses and individuals that desperately need our support. Spanning across three venues, the main event will be held from 6pm-1am, with a pre party in one of Liverpool’s coolest spots followed by an after party until 6am. This is a Luciano visit that should not be missed. As the line-up continues to grow and we carry on nurturing this incredible event, make sure you are a part of this epic night. Also paper tickets available from 3B Reecords and The Font Bar, Liverpool.